1860—While off the Isle of Pines (now named Isla de la Juventud) near the south coast of Cuba, the screw gunboat Wyandotte captures the slaver William, which carries 570 Africans. 1926—Lt. Cmdr. Richard E. Byrd and Chief Aviation Pilot Floyd Bennett report reaching the North Pole in their heavier-than-air-flight aircraft. Both receive the Medal of Honor for this event. 1942—USS Wasp (CV 7) launches 47 RAF Spitfires, British carrier Eagle accompanies Wasp and launches 17 additional Spitfires. 1945—German submarine U 249 surrenders to PB4Y-1 "Liberator" from (FAW 7) off the Scilly Islands, England, becoming the first to do so after hostilities ceased in Europe. 1992—USS Ashland (LSD 48) is commissioned in New Orleans, LA. 2017—A South Korean fishing vessel collides with the port side, amid ship of USS Lake Champlain (CG 57) while the guided-missile cruiser is conducting routine operations in international waters. No one is injured in the incident. Top national news include takeaways from Tuesday's primary elections, New York Attorney General Eric Schneiderman's resignation after allegations of physical abuse against women, and the Mormon Church announcing it will sever all ties with the Boy Scouts of America after a 100-year relationship. Multiple outlets report that President Trump has announced a withdrawal from the 2015 Obama administration's deal to curb and monitor Iran's nuclear activity. President Trump announced that all sanctions suspended by the agreement are immediately in effect. The San Diego Union-Tribune reports that the USS Bonhomme Richard has returned to San Diego after serving for six years as the Navy's only forward-deployed amphibious assault ship in the Western Pacific Ocean. Additionally, USNI News reports that Lt. j.g Sarah B. Coppock pleaded guilty to a single charge of negligence as part of a plea deal. Christopher Columbus leaves Spain on his final trip to the New World. The first newspaper cartoon in America appears. U.S. troops under William Henry Harrison take Fort Meigs from British and Canadian troops. Union General John Sedgwick is shot and killed by a Confederate sharpshooter during fighting at Spotsylvania. His last words are: "They couldn't hit an elephant at this dist--"
Threatened by the advancing French army, the Austrian army retreats across the River Sesia in Italy. German and French forces fight the Battle of Artois. Explorers Richard Byrd and Floyd Bennett make the first flight over the North Pole. Fascist Italy captures the city of Addis Abba, Ethiopia and annexes the country. The German submarine U-110 is captured at sea along with its Enigma machine by the Royal Navy. King Victor Emmanuel II of Italy abdicates his throne and is replaced by Umberto I. A laser beam is successfully bounced off the moon for the first time. The House Judiciary Committee begins formal hearings on Nixon impeachment. From NAVAL HISTORY AND HERITAGE COMMAND. See more great history in The H-Grams from Admiral Cox. Read about this and topics from World War II, World War I, and the Spanish-American War at the Director's Corner (https://www.history.navy.mil/about-us/leadership/director/directors-corner.html).go to H grams at the top left. On 8 May 1942, 24 SBD Dauntless dive bombers from USS Yorktown (CV-5) commenced an attack on the Japanese fleet carrier IJN Shokaku in the Coral Sea. As each bomber nosed over in near-vertical dives from 18,000 feet on the wildly maneuvering Shokaku, their windscreens and bomb sights fogged over so badly during the descent that the U.S. pilots were blinded, forced to release their bombs "by memory." Although one bomb hit the Shokaku very near the bow and started a serious fire, one bomb after another missed. Finally one SBD, piloted by LT John Powers (USNA '35), his wing on fire after being hit by canon fire from a Japanese Zero fighter, pressed his dive well below the standard minimum pull-up altitude. Power's bomb hit Shokaku nearly dead center and caused horrific and nearly fatal damage, starting massive fires and killing over 100 Japanese sailors. Unable to pull up in time, Powers flew through the frag pattern of his own bomb and crashed alongside the Shokaku. Although 15 dive bombers off the USS Lexington (CV-2) would later manage to hit the Shokaku with one more bomb, it was Power's bomb that knocked Shokaku out of action for the rest of the battle, leaving her unable to recover aircraft, and with damage so severe that she was unable to participate in the critical and decisive Battle of Midway one month later, where her presence could have easily turned that battle into a catastrophic defeat for the U.S. By the sacrifice of his life, and that of his radioman-gunner (Radioman Second Class Everett Clyde Hill), Powers quite likely prevented the loss of the Yorktown at the Battle of the Coral Sea, and changed the outcome of two of the most important battles of World War II. For his valor, Powers was awarded the Medal of Honor, posthumously. Hill's parents received his $10,000 G.I. life insurance policy payout. American and Japanese carriers and carrier air groups had significant strengths and weaknesses relative to each other. Most histories "mirror image" Japanese doctrine and tactics with those of the U.S., which frequently leads to an inaccurate understanding of the battle. There are two recent books that superbly describe Japanese carrier operations and are worth a read, "Shattered Sword" by Parshall and Tully, and "Kaigun" by Evans and Peattie. Both are over 500 pages long, so if you read my synopsis (derived from those books and many others) in attachment H-005-2 you will become a lot smarter about the relative capabilities of the U.S. and Japanese carriers and air groups at the Battles of the Coral Sea and Midway, in a much shorter period of time, and the battles might make more sense to you. The Battle of the Coral Sea was the first carrier versus carrier battle in history; opposing surface forces never sighted each other. The battle occurred because U.S. naval intelligence provided Admiral Nimitz with sufficient warning and understanding of Japanese intent and capability that he chose to commit the two carriers Lexington (CV-2) and Yorktown (CV-5) against a Japanese force expected to consist of 2-3 carriers (Shokaku, Zuikaku and the light carrier Shoho.) Nimitz committed the Enterprise (CV-6) and Hornet (CV-8) as well, but they were unable to reach the area in time, due the timing of the Doolittle Raid (see H-Gram 004). The battle was a tactical draw (some accounts argue a tactical U.S. loss) but a strategic victory for the U.S. The Japanese force failed in its objective to capture Port Moresby, New Guinea, which would have threatened the northeast coast of Australia. Although the Japanese had previously suffered set-backs, this was the first time that proved permanent. In addition, the Japanese carrier Shokaku was severely damaged, and attrition to the air groups of both Shokaku and Zuikaku caused both carriers to miss the decisive battle of Midway a month later, which almost certainly changed the course of that battle, and of the war. The Japanese also lost the light carrier Shoho on 7 May to a gross over-kill of U.S. carrier torpedo and dive bombers, and was the first carrier lost by either side in the war. The cost to the U.S. was high; the carrier USS Lexington was sunk as a result of secondary explosions following torpedo and bomb hits, the Yorktown was damaged by a bomb (but not hit by torpedoes, which was the critical factor in her being repaired in time for Midway), the oiler USS Neosho (AO-23) (which had survived being moored right in the middle of the attack on Battleship Row at Pearl Harbor) was sunk, along with the destroyer USS Sims (DD-409.) At the end of the second day of battle, the air groups on both sides were severely depleted with extensive losses, with Lexington sinking and Shokaku out of action. Both commanders, RADM Frank "Jack" Fletcher and VADM Takeo Takagi, opted to withdraw, which resulted in years of criticism of both by other naval officers and armchair historians (Takagi was pilloried by ADM Yamamoto; Fletcher merely criticized, mostly behind his back). Please see attachment H-005-3 for more detail on the Battle of the Coral Sea. Ed: Perhaps a reason for confirming Gina Haspel as CIA Director? The man who masterminded the Sept. 11 terrorist attacks opposes the nomination of Gina Haspel to head the CIA. Khalid Shaikh Mohammed is backing the Senate intelligence panel's Democrats prior to Wednesday's hearing on whether to confirm the longtime CIA agent to lead the organization. According to the New York Times and other news outlets, Mohammedasked a military judge at the Guantanamo Bay prison in Cuba to share six paragraphs he had written about Ms. Haspel with the Senate panel. Ms. Haspel oversaw a black-site prison in Thailand where two al-Qaeda terrorists, one of them under her watch, were waterboarded and subjected to other harsh interrogation techniques that opponents call torture. It is not known whether Ms. Haspel played any personal role in Mohammed's interrogation. After his 2003 capture in Pakistan, he was held and interrogated at secret CIA facilities in Afghanistan and Poland. Page 1: "JIM CATFISH HUNTER OF OAKLAND ATHLETICS PITCHED PERFECT NO-HITTER"… "Set down all 27 Minnesota Twin batters to win 4-0." Former Secretary of Defense Ash Carter directed the military departments to review all Service Cross and Silver Star recommendations for actions since September 11, 2001, to ensure Service members who performed valorously were appropriately recognized. Master Chief Slabinski, a native of Northampton, MA, joined the Navy in September 1988. After graduating from Radioman Class "A" School in San Diego, CA, he completed the Basic Underwater Demolition/SEAL course in January 1990. He retired in June 2014 as the Director of Naval Special Warfare Safety Assurance and Analysis Program after more than 25 years of service. 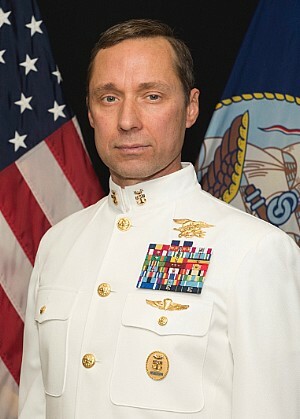 Throughout his career, Master Chief Slabinski was assigned to both West and East Coast SEAL teams and completed nine overseas deployments and 15 combat tours. Master Chief Slabinski has previously been awarded the Navy Cross; the Navy and Marine Corps Medal; five Bronze Star Medals with Combat "V" device; two Combat Action Ribbons; two Navy and Marine Corps Achievement Medals; the Defense Meritorious Service Medal; the Meritorious Service Medal; the Joint Service Commendation Medal; the Joint Service Achievement Medal; and eight Good Conduct Medals. * serving with friendly foreign forces engaged in an armed conflict against an opposing armed force in which the United States is not a belligerent party. Item Number:1 Date: 05/09/2018 AFGHANISTAN - AIRSTRIKE KILLED DOZENS AT RELIGIOUS CEREMONY IN KUNDUZ PROVINCE, SAYS U.N. REPORT (MAY 09/UNAMA) UNITED NATIONS ASSISTANCE MISSION IN AFGHANISTAN -- The United Nations Assistance Mission in Afghanistan (UNAMA) has released a report on an Afghan air force strike last month in the Dasht-E-Archi district of the northern Kunduz province. Afghan helicopters fired rockets and heavy machine guns on a religious ceremony in Laghmani village on April 2 resulting in 107 casualties, said a UNAMA release on May 7. Thirty-six people were killed and 71 wounded. Children accounted for 81 of the casualties, with 30 killed and 51 wounded. The UNAMA said that it received additional credible information that the casualty figures could be higher. The Afghan government, which has acknowledged that civilian casualties occurred during the strike, said the mission was targeting senior Taliban leadership. The report outlined the risks of a new strategy developed with U.S. advisers, which involves greater use of Afghan airpower, noted Reuters. The U.N. expressed concern about the high numbers of causalities from air attacks prior to the April 2 incident. Sixty-seven deaths, and 75 injuries were recorded through the first three months of 2018. Item Number:2 Date: 05/09/2018 AFGHANISTAN - AT LEAST 2 KILLED, 6 INJURED IN TRIPLE SUICIDE BOMBING IN KABUL (MAY 09/AFP) AGENCE FRANCE-PRESSE -- At least two people have been killed and six injured in three suicide attacks in Kabul, reports Agence France-Presse. The first explosion occurred on Wednesday near a police headquarters in the western Dasht-e-Barchi neighborhood, said the Interior Ministry, as reported by Tolo News. Two attackers and two police officers were killed and two officers wounded, a military spokesman said. A second and third blast were reported shortly after the first near a police headquarters in Shahr-e-Naw, a commercial area in downtown Kabul. The two attackers reportedly tried to enter the compound but were killed by guards. Gunfire was reported after the explosions, said witnesses. Special operations forces moved in shortly after the attack and were engaged in a protracted fight with militants holed up in nearby buildings. The Islamic State terrorist group (ISIS) claimed responsibility for the first explosion, reported Reuters. Some officials cast doubt on the group's claim, pointing to its low membership and remote stronghold in Nangarhar province. Some senior Afghan intelligence officials believe the attack was carried out by the Haqqani network, which operates alongside the Taliban. Item Number:3 Date: 05/09/2018 DEM REP OF CONGO - AT LEAST 17 DEAD IN LATEST EBOLA OUTBREAK (MAY 09/BBC) BRITISH BROADCASTING CORP. -- The government of the Democratic Republic of Congo has declared an Ebola outbreak in the country, reports the BBC. So far, there are two confirmed cases of Ebola and 17 deaths attributed to the virus, the health ministry said in a statement on Tuesday. The cases have come from around Bikoro, in the northwestern part of the country and were first reported by local authorities on May 3. Samples from five patients suspected of having Ebola were tested by the World Health Organization (WHO). Two came back positive, said the organization. The WHO will disburse US$1 million from an emergency fund and deploy 50 experts to the country, said the international health group. This is the ninth confirmed outbreak of Ebola in the country. Eight people in the Democratic Republic of Congo were killed in an outbreak last year, reported Reuters. Item Number:6 Date: 05/09/2018 LIBYA - ISIS SUICIDE CAR BOMB KILLS 2 MEMBERS OF DIGNITY OPERATION (MAY 09/REU) REUTERS -- At least two people have been killed and four wounded in a suicide car bombing near the Libyan city of Sirte, reports Reuters. On Tuesday, attackers targeted a security checkpoint about 55 miles (90 km) east of the oil-rich city, security officials told Agence France-Presse. The checkpoint was manned by a civilian and a guard from the Libyan National Army, an armed group in eastern Libya headed by Khalifa Haftar. Forces loyal to Haftar have been conducting operations against suspected Islamist militants since 2014 under Operation Dignity. Officials said another car bomb was defused nearby. In a statement through its semi-official Amaq media wing, the Islamic State terrorist group (ISIS) claimed responsibility for the attack, though the group said it inflicted 13 casualties. The attack came one day after Haftar promised to "liberate" the city of Derna from the Mujahedeen Shura Council, an extremist militia that expelled ISIS from the city in 2015. Item Number:8 Date: 05/09/2018 NORTH KOREA - POMPEO PAYS VISIT AHEAD OF PLANNED SUMMIT (MAY 09/POLITICO) POLITICO -- U.S. Secretary of State Mike Pompeo has arrived in North Korea as part of preparations for an upcoming meeting between President Donald Trump and North Korean dictator Kim Jong Un, reports Politico. "For decades, we have been adversaries. Now we are hopeful that we can work together to resolve this conflict," Pompeo said on Wednesday. Pompeo met with a former intelligence chief, Kim Yong Chol, and Ri Su Yong, a former foreign minister who is close to North Korea's autocrat. The secretary of state praised North Korean efforts in arranging an upcoming meeting between their two heads of state. Pompeo's trip was announced on Tuesday amid talk of freeing three U.S. citizens held in North Korean labor camps. One has been held since 2015 and two others were arrested last year, reported the Washington Post. In a tweet Wednesday morning, President Trump said Pompeo would be returning with the three hostages on Thursday.